See Spot. See Spot run. See Spot run (walk, or just sit there) from up to 100 feet away, even when it's dark. The Nite Ize PetLit LED Collar Light is a specially designed, battery-powered bright white LED that you can clip securely to your pet's collar. 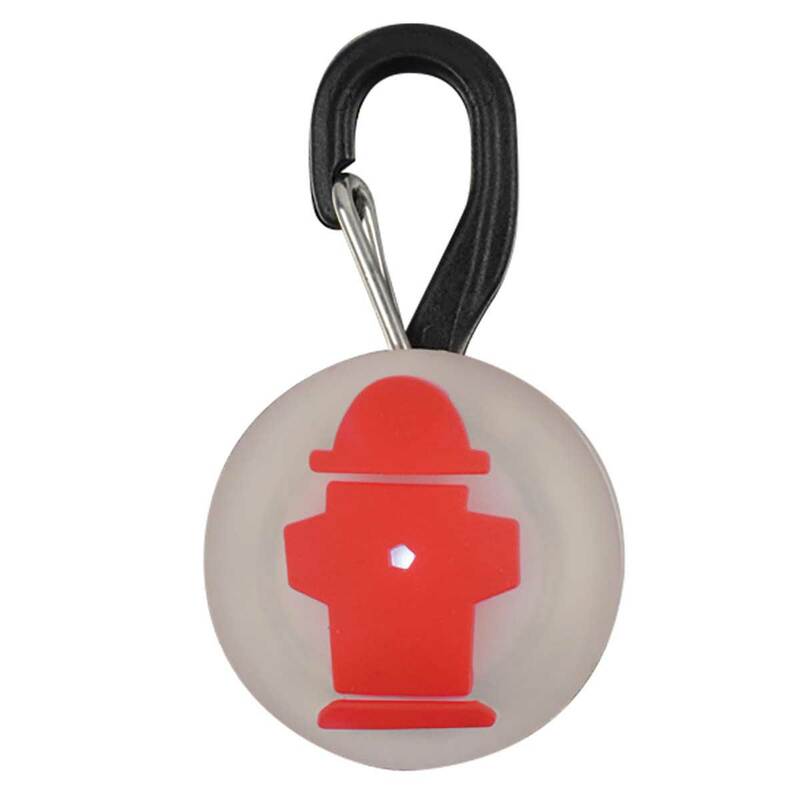 Made of durable plastic, with a playful red hydrant, it's bright light is easy to activate with a simple twist. Keep you furry friend safe and visible. 24-hour battery run time. Weather Resistant. Twist on/off operation.